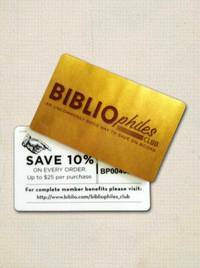 Knopf Canada. Used - Good. Former Library book. Shows some signs of wear, and may have some markings on the inside. DAVID MITCHELL is the award-winning and bestselling author of The Thousand Autumns of Jacob de Zoet , Black Swan Green , Cloud Atlas , Number9Dream and Ghostwritten . Twice shortlisted for the Man Booker Prize, Mitchell was named one of the 100 most influential people in the world by TIME magazine in 2007. With KA Yoshida, Mitchell co-translated from the Japanese the international bestselling memoir, The Reason I Jump . He lives in Ireland with his wife and 2 children. 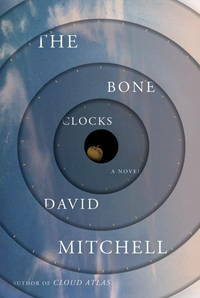 "The Bone Clocks is the sixth novel by British author, David Mitchell. After an argument with her mother and an upsetting encounter with her unfaithful boyfriend, fifteen-year-old Holly Sykes intends to get as far from Gravesend as possible. But Holly is no ordinary teen, and a chance meeting with a strange old woman on a jetty leads to a promise with repercussions many years later. The story is split into six parts with different narrators: a rebellious teen; a self-centred, self-serving young man; a British journalist hooked on the excitement of the Middle East; an arrogant writer with a guilty secret; an Horologist in his fortieth life; and an elderly grandmother. The narratives of those whose lives intersect with Holly’s relate the major events of her life in a roundabout way while, at the same time, telling a thrilling tale of opposing forces and the inevitable battle that ensues. The tale is told over some six decades and jumps from small town England to a Swiss ski resort, Iraq, Hay, Columbia, Western Australia, Shanghai, Iceland, New York, Canada and Ireland. Mitchell touches on a myriad of subjects: teen angst, infatuation and true love, career/family balance, literary critics and book fairs, the curse of privilege, socially conscious pop idols, the world’s reliance on technology and the pervasiveness of the internet. His characters comment on: ageing (It’s not just that you get old and your kids leave; it’s that the world zooms away and leaves you hankering for whatever decade you felt most comfy in”); religion (“..if you could reason with religious people, there wouldn’t be any religious people” and “Prayer may be a placebo for the disease of helplessness, but placebos can make you feel better”); and technological advances (“Some magic is normality you’re not yet used to”). His characters are appealing and readers may find themselves wondering for some time just whose intentions are pure and whose are not; some develop in depth and integrity as the story progresses. Holly is easy to admire, resourceful and engaging; her use of the rolling pin is definitely a laugh-out-loud moment. This is a wonderfully crafted novel, with mysterious happenings building the intrigue until things begin to fall into place with the fifth narrative. Fans of Mitchell’s earlier novels will delight in (and quite probably be excited by) the connections (characters, locations, themes) with this one. Once again, Mitchell gives the reader a brilliant novel and it will be interesting to see what he does next. "